It’s official: The Duke Blue Devils men’s basketball team have won their fifth national title after a tough, very close battle against the Wisconsin Badgers. And if you’re a die-hard Duke fan, you’re celebrating in every way imaginable. Show the utmost pride for your Blue Devils by not only gearing up in your favorite team’s colors, but by wearing your pride today and throughout the year with these awesome Duke Blue Devils browser themes, desktop wallpapers, iOS wallpapers and more for true fans. Download the OFFICIAL Duke University Blue Devils browser theme for Chrome, Firefox, IE and Safari! This winning browser theme is packed with the features die-hard Duke fans want most including quick links to the best university athletics information, news, a multimedia sidebar to stay up-to-date on Blue Devils action plus social connections so you can interact with other true Duke fans. Download it now. This stunning blue-hued Duke Blue Devils Chrome theme features what your Blue Devils do best — put the ball in the net! Download it now. Sometimes fans just want to keep their browser themes simple. And this Duke University Chrome theme complete with Blue Devils logo is perfect for those who don’t need a whole lot of flash and flair. Download it now. This stunning Duke basketball desktop wallpaper invites you into a calm locker room scene. We’re assuming this wasn’t taken right after the championship win! Download it now. This minimalist Duke University desktop wallpaper is simply perfect for the die-hard Duke fan. Download it now. A true Duke fan knows that their Blue Devils are the real stars of college basketball. This desktop wallpaper shows Duke’s star status with out-of-this-world imagery. Download it now. 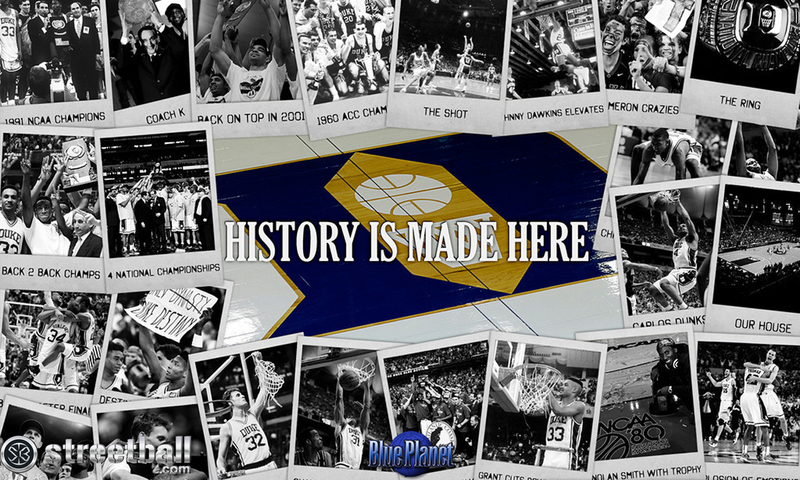 Duke basketball history’s finest moments are captured in this Blue Devils desktop wallpaper. Download it now. This inspirational Duke basketball desktop wallpaper will help you keep the faith that your team will always strive to be the best of the best. Download it now. The ball is always in the court of the champion Duke Blue Devils; from the beginning of the season and all the way through to the very end. Download it now. This cool Duke Blue Devils desktop wallpaper will give you a bird’s eye view of the Duke University home court from your desktop. Download it now. Duke Update – The preeminent Duke Blue Devils basketball fan website. Duke Basketball Never Stops – A fun Tumblr blog ran by a die-hard fan with great image updates of Blue Devils basketball. Duke Basketball Report – An SBNation.com Duke Blue Devils community site for real fans. Duke Report – Editor-in-Chief, David, has been a die-hard Duke basketball fan since the 1990s — and true fans like him will love his Duke basketball fan site. Go Duke – The official website of Duke Athletics.